Located in the forest of Nasu, gigantic dinosaurs appear in Blancvert Nasu! In the front entrance, guests will be greeted by baby dinosaurs which were just hatched from the eggs. 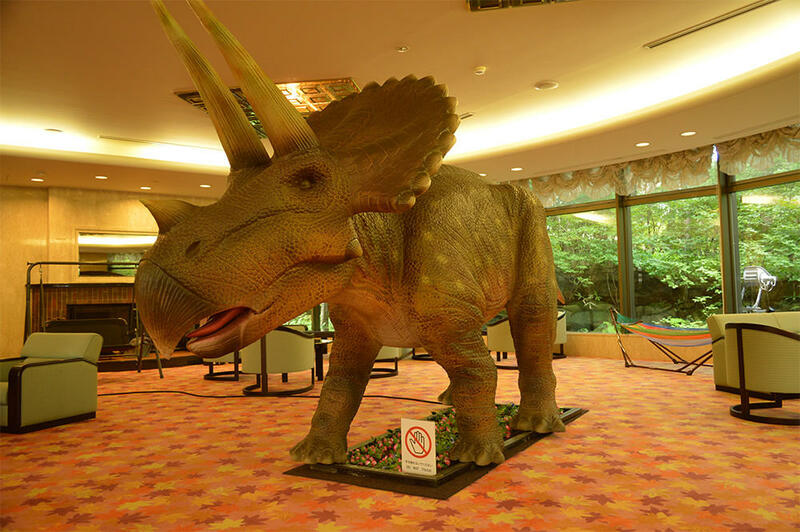 In the lobby, guests will be welcomed by the roaring and the earth shaking movement of a 6m long Triceratops. Also, when guests enter the spa area, they may spot T-Rex, Brachiosaurus, Velociraptor and other interesting dinosaurs sneaking out in the forest. Don't miss the chance to take some awesome snapshots with the dinosaurs and upload them on Instagram or Facebook!